Amongst WWE fans, I’d class myself as somewhat of a veteran: I’ve been watching the product for nearly 23 years now (it’s fair to say, I’m not going to grow out of this) and I’ve gone back and watched a huge chunk of content from the 10 years that preceded my introduction to the sport. 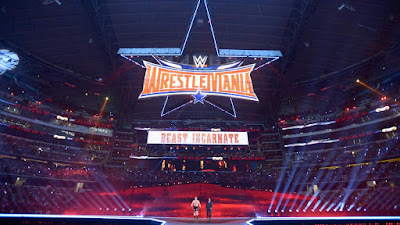 Obviously, there have been huge changes to the presentation of the product over this period: from the booking of both the stars and the venues to the structuring of the cards and the status afforded to the titles, there have been notable evolutions and deviations in Vince McMahon’s vision for his company. To consider the extent of such changes, I’ve selected snapshots in history to analyse closely: Wrestlemanias 3, 13, 23 and 33. By re-watching the Manias of old and considering the build to this year’s event, I can consider what creative and business policies have changed and what philosophies have remained constant over the course of three eventful decades. Here I begin my odyssey through wrestling history with an examination of the shows from 1987 and 1997. 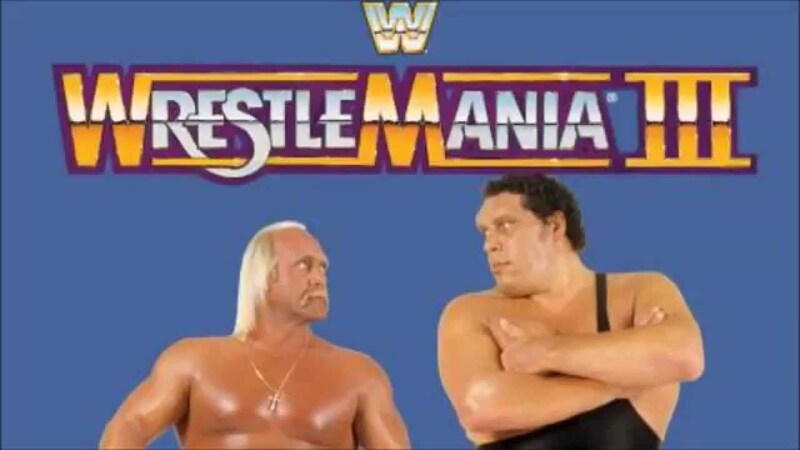 Wrestlemania III - "Bigger! Better! Badder!" This was the first time that Vince McMahon decided to try and fill a stadium for a WWF show and fill it he did: the company announced a gigantic, record-breaking attendance of 93,173. Admittedly this is a number that is disputed by many but the counter argument- that it was in fact 78,000 fans that rocked the Pontiac Silverdome in Pontiac, Michigan on March 29th 1987- still represents incredible business. Indeed, whilst stadium bookings remained a fairly rare policy over the subsequent decade, the success of this show was never forgotten and laid the foundations for WrestleMania as we know it today. From the singing of "America the Beautiful" by Aretha Franklin to the dramatic, patriotic video images that punctuated the performance, this was the prototype for much of what we see in today’s incarnations of the flagship PPV. To draw the house, McMahon relied on a match of epic proportions. The main event of WWF World Heavyweight Champion Hulk Hogan vs Andre the Giant was built over a period of months and relied on the company's tried and tested baby face/monster heel dynamic. It is, in my opinion, the most significant match in the history of the company: it delivered possibly the sport’s most iconic moment in Hogan slamming the (kayfabe) undefeated giant; represented a symbolic passing of the torch; and set a wrestling attendance record that would stand in North America for nearly 30 years. I wasn’t watching back in 1987 but in every screening of that match since, I’ve grasped the magnitude of the contest; the energy of the crowd seeps through the screen. True, the quality of their ring work is fairly poor but the bout has heat and meaning. In wrestling, what else really matters? This was a show that enforced the old adage of the Intercontinental title being the worker’s strap. Here the IC title match between Randy Savage and Ricky Steamboat clearly meant something and the crowd and announcers reacted excitedly to every moment in this famed match. Interestingly, Savage received cheers on his entrance; despite being the villain, fans clearly respected and enjoyed his work. However, when the bell rang, the face and heel divide was established and the pop for Steamboat’s win wasn’t tainted by fans reluctant to play along. Elsewhere, the bout between "Rowdy" Roddy Piper against Adrian Adonis moved the live crowd who believed they were witnessing Hot Rod’s final bout. The action was poor, most notably for the interference of Brutus Beefcake, who delivered the world’s most invigorating massage. Truthfully, this was a three match card, although the 6 man between The Hart Foundation (Bret Hart & Jim Neidhart) and Danny Davis and Tito Santana and The British Bulldogs (Davey Boy Smith & Dynamite Kid) was rather good (look out for Davey Boy hitting a tombstone; Bret and Dynamite working extra stiff; and guest celebrity, Entertainment Tonight host Mary Hart calling a match better than either Byron Saxton or David Otunga could). Otherwise, this was a long card but largely lacking in quality: Vince’s desire to get everyone on the card was admirable (everyone gets a payday and to be part of history) and it was a booking policy that would continue into the 90s. Furthermore, this show was very much a reflection of its time: some of the comments regarding Junkyard Dog and little people pushed the boundaries of taste and earned the show a TV 14 rating and a warning on the WWE Network . Commentary duties were well handled by Gorilla Monsoon and Jesse Ventura: this was an era when the announce team received adulation from the audience and largely added value to the matches. The chemistry between the two was strong and they interacted with guests in an engaging manner. Indeed, all of the celebrities added something to proceedings. Bob Uecker knowingly delivered one of the greatest lines in Mania history when commentating on the exploits of one of the little people: “There’s Beaver everywhere”. The show was a huge success: it drew 400,000 buys on PPV and a further 450,000 on closed circuit television. Combined with a live gate of $1,590,000 and one can see why this will always be viewed as one of the most historic and successful WrestleManias of all time. 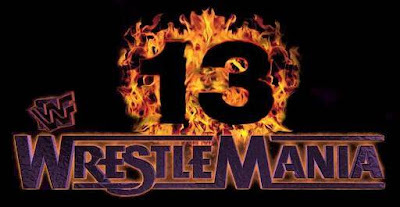 Fast forward to 23rd March 1997 and WrestleMania 13, which emanated from in Rosemont, Illinois and you’ll find the difference in shows to be stark. If 1987 was the WWF at their hottest, then 1997 may have been them at their most lukewarm: business was down with the buy rate for this show registering at a mere 237,000, making it the lowest drawing show in WrestleMania history. The Rosemont Horizon was full to it’s a capacity of 18,197 but it is thought that only 16,467 paid for a house of $837,150. Not great by any means but probably not unexpected. This card fell within my timeframe as a WWF fan and I vividly recall being non-plussed about the show. 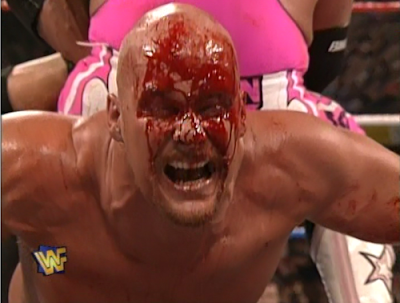 I was just as, if not more, hyped for the next month’s In Your House PPV as I was this. From the lack of "America the Beautiful" and celebrity involvement to the ordinary set and scale of the crowd, the visual presentation lacked spark, verve and anything that differentiated it from a bog standard TV taping. The commentary had by now switched to a three man booth: Jim Ross provided the bulk of insight (and occasionally wandered off to conduct ringside interviews) while Vince McMahon was… enthusiastic. Jerry Lawler had an off night, most of his jokes (including some off colour remarks about Chyna) missing the mark but at least he, and the others, had a clear role. The sparky interactions shared by Monsoon and Ventura (and later Gorilla and Bobby Heenan) were not present but at least there were no obvious passengers on this announce team either. As for the card; it was structured somewhat similarly to Wrestlemania III, showing Vince’s on screen preferences hadn’t changed hugely. Two big men contested the title in the main event (admittedly this wasn’t the original plan but remained a tried and tested fall back in times of need); two super workers competed in the stand out match of the under card; multi-man matches like a four corners tag and the 6 man Chicago Street fight tried to fit as many performers onto the card as possible. The most notable exception was the star power: it had declined greatly since 1987. Neither The Undertaker or Sycho Sid were at Hulk Hogan’s level (and neither were aided by the fact this match was afforded a few weeks build as opposed to the few months dedicated to Hogan and Andre) and the responses for the majority of mid and undercard talents were less rapturous than those garnered by the stars of old. Even the titles had lost some lustre: here the Intercontinental title felt like an afterthought, not the showpiece attraction of old. By this point, name wrestlers fighting one another wasn’t a rarity saved for PPV attractions, it was the norm on free television and therefore not something to get overly excited about. Fan burn out had begun and only the truly special could command a star’s responses. Fortunately, for all of the negatives, there was still fun to be had on this card: like Mania III, the show boasted an outright classic as the bloody war between Bret Hart (who, along with Davey Boy Smith has the distinction of wrestling on both the ’87 and ’97 cards) and Steve Austin foreshadowed the rise of the Attitude era. Indeed, whilst Mania III may be the ultimate symbol of the 80s boom, Mania 13 is the calm before the storm, an early experiment in a tonal shift that would lead to the company scaling new heights as the century drew to a close. Next week the focus turns to WrestleMania 23 - "All Grown Up": we’re back in Detroit but with a Presidential twist. 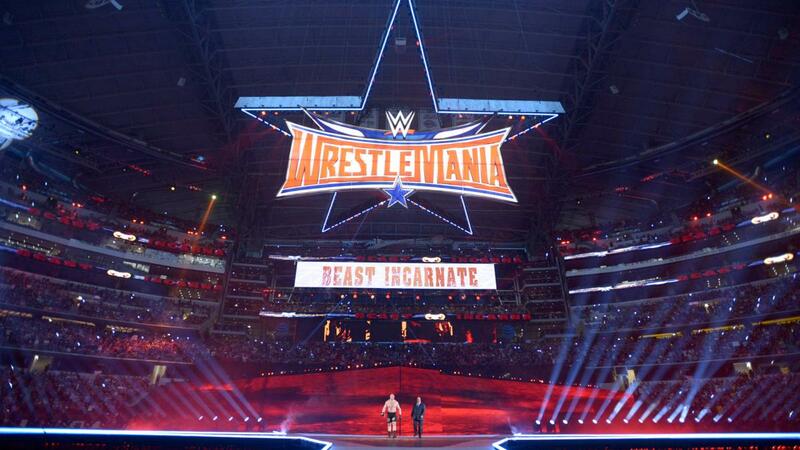 And then a look at the build to this year’s show and a measured evaluation of whether Vince's current presentation of WrestleMania is better or worse than those which preceded it.